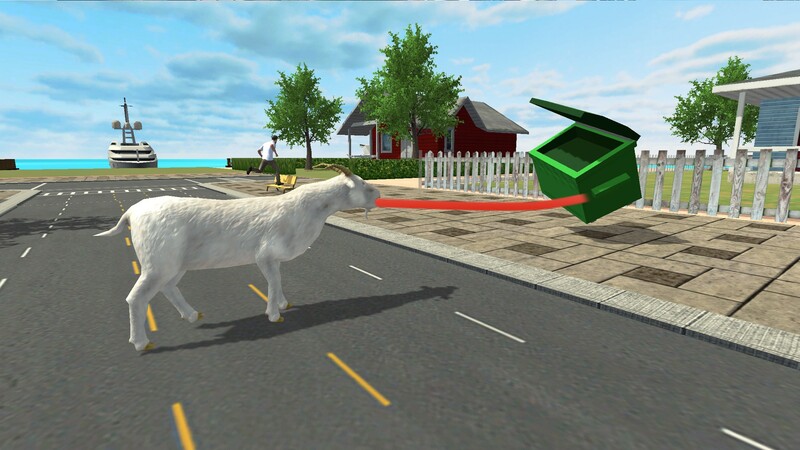 Scary goat is the latest in goat simulation technology .Where your goat contains evil super natural powers to create rampage destruction in modern city. 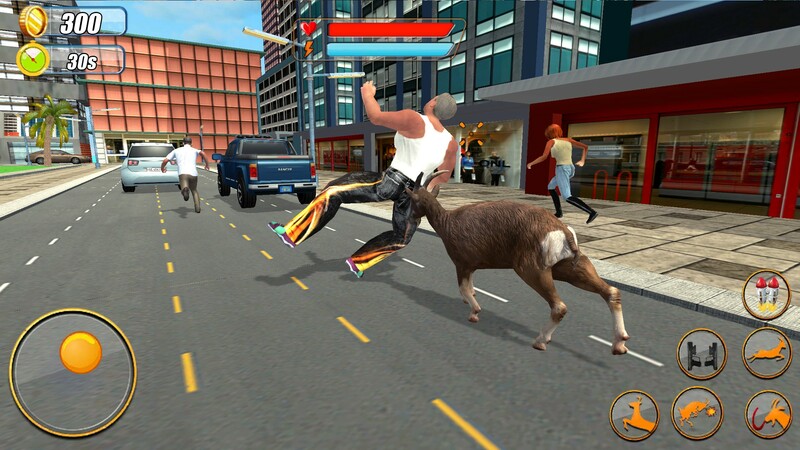 Transform into goat man (half human half goat) and become a disaster for everything comes on your way and enjoy the Jetpack evil Goat Rampage Simulator action. In this goat game explore huge city, with interactive humans, animals, police and army with massive buildings to destroy with your attached ammunition. Scary goat with jetpack and horrible tongue can blast military tanks,shoot at enemy soldiers will make everybody's survival miserable. Use your long tongue to catch stuff, people and cars and trucks! Catch them before they run away and win this adventure city battle. 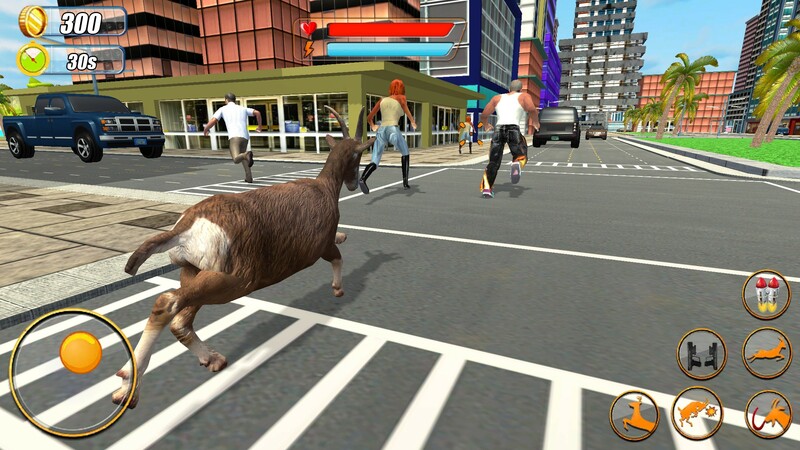 In scary goat you have a super power to fly as jetpack goat with ultimate speed and complete city destruction tasks in given time. 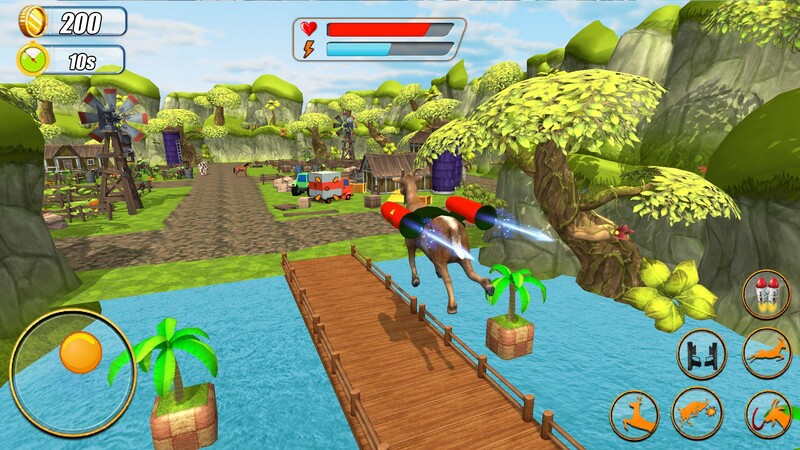 Wild goat city attack will allow you to use jetpack to fly over the town and use your rocket guns and missiles . Transform into a goat man, attack and smash everything in your way.Destroy their vehicles because you are nothing more than a monster for anyone. Your aim is to cause destruction, demolish and smash everything in this city . Beware from police and army with tanks and deadly weapons because they can strike without any warning in goat city attack simulator. - Follow the map on the top of the screen. 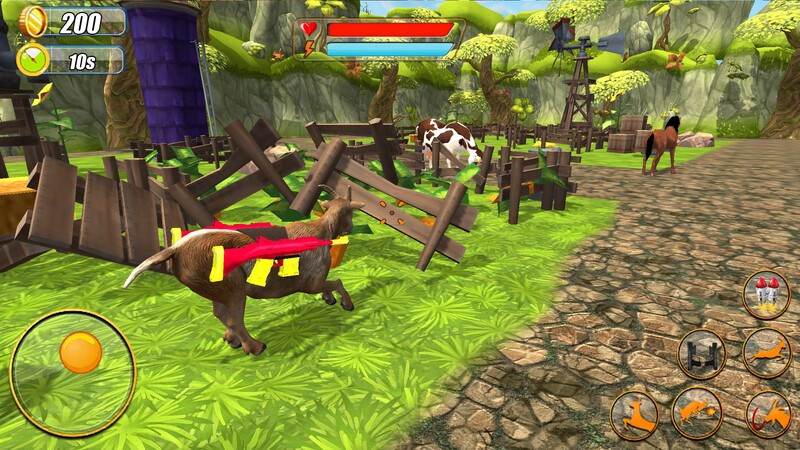 - Move joystick to fly and control the navigation of the goat. - Trigger on citizens and grab them away by your tongue. - Use the button to shoot your gun. - Complete all destruction missions within time.